The correction of astigmatism of photographic lenses is known since 1889 when Paul Rudolph developed the first Anastigmat lens for Carl Zeiss. In 1890 this Zeiss lens was named Protar. 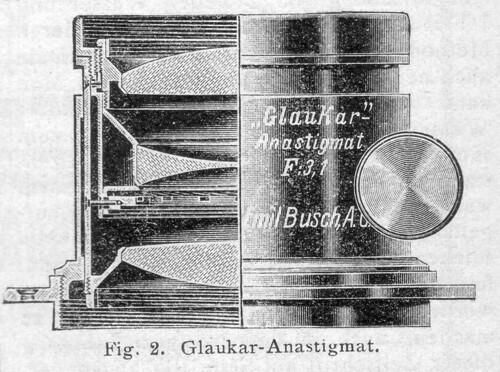 Other remarkable anastigmatic lenses were Emil Busch's fast F3.1 Glaukar anastigmat of 1910 and Ernemann's fast F2.0 Ernostar lenses of the mid-1920s. The term anastigmat was used until the mid-1950s by most camera- and lens-makers for many of their normal camera lenses because anastigmatism was the last type of lens correction that appeared on the market before 1945. 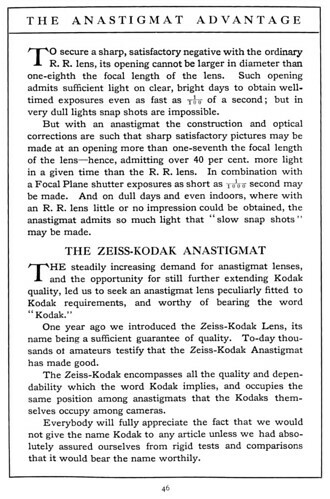 Then the emphasis of camera marketing moved to the use of the terms coated or coating  which signaled newer types of lens correction. Astigmatism is a lens fault that causes a point of the focusing plane appearing as a line on the focal plane. In anastigmatic lenses the fault is corrected by careful combination of lens elements. 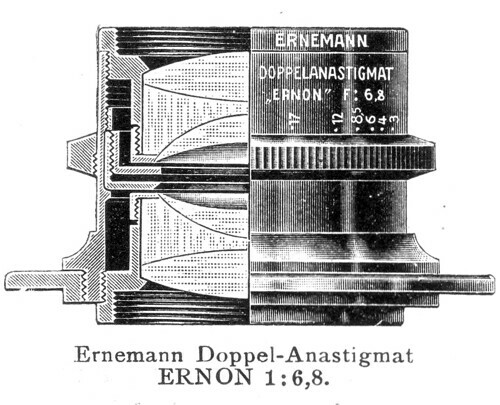 The Turner-Reich Anastigmat of 1896 was a remarkable symmetrical construction, consisting of two five-element (!) lens groups.